September 2, 2015 La Mirada, CA – Makita® has released three new laser instruments engineered for precision and efficiency: the Self-Leveling Combination Cross-Line/Point Laser (model SK103PZ), as well as the Laser Distance Measure 164’ (LD050P) and Laser Distance Measure 262’ (LD080P). The new SK103PZ gives contractors one instrument for all laser needs within a 50’ distance range requirement. The SK103PZ provides all possible reference lines required in leveling, aligning, plumbing, and squaring applications. 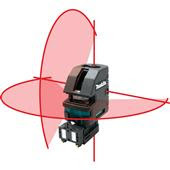 The Combination Cross-Line & Point Laser capability of SK103PZ will eliminate the need to invest in various multi-directional laser types that would otherwise have to be purchased and handled separately. A key feature is the laser line capacity, and the laser line fan length spans well past the 90 degree point position to provide a 180 degree horizontal line and 120 vertical line for full reference line coverage. Accuracy is vital in the measurement phase of construction, and the SK103PZ has a line and point accuracy of +/- 1/8” error rate at 30′. The SK103PZ also has key durability features including rubber over-molding, laser glass inset, and a pendulum lock to protect the laser diode during storage. The pendulum lock also allows for sloped applications. The LD050P has a distance operating range of up to 164’ with an accuracy of +/- 5/64”. It provides both unit standards of measurement and 7 measurement functions: distance, area, volume, permanent, min/max, add/subtract & Pythagoras (2 point), and Pythagoras (3 point). The LD080P has a distance operating range of 262’ with an accuracy of +/- 1/16”, with both unit standards of measurement. In addition to the 7 measurement functions of the LD050P, the LD080P also offers stake-out and Pythagoras (partial height) for increased versatility. Both measurement tools are equipped with an industry standard Type 635nm/Class II Laser and will provide up to 5,000 hours of run time on a single charge (AAA batteries sold separately). Makita® is a worldwide manufacturer of industrial quality power tools and outdoor power equipment, and offers a wide range of industrial accessories. Makita utilizes leading-edge technology and innovation to engineer tools that are more compact with less weight yet deliver industrial power and results. Makita’s extensive line of cordless lithium-ion tools includes 18V LXT® Brushless Lithium-Ion, 18V Compact Lithium-Ion, and 12V max Lithium-Ion. Other best-in-class products include rotary and demolition hammers and saws equipped with Anti-Vibration Technology (AVT®), MM4® 4-Stroke engine power equipment, Super Joint System – SJS® and SJS™II grinders, miter saws engineered with Deep and Exact Cutting Technology (DXT®), Impact GOLD®, the New Gold Standard in Impact Driving, and more. Makita U.S.A., Inc. is located in La Mirada, California, and operates an extensive distribution network located throughout the U.S. For more information, call 800/4-MAKITA (800/462-5482) or go to makitatools.com. 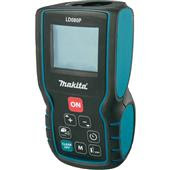 Follow Makita: facebook.com/makitatoolspage,twitter.com/makitatools, youtube.com/makitapowertools, instagram.com/makitatools. The MAKITA TEAL COLOR is the trade dress of Makita Corporation and is protected under common law and registered with the U.S. Patent and Trademark Office. The Makita Black & White color combination is the trade dress of Makita Corporation and is protected under common laws and registered with the U.S. Patent and Trademark Office.